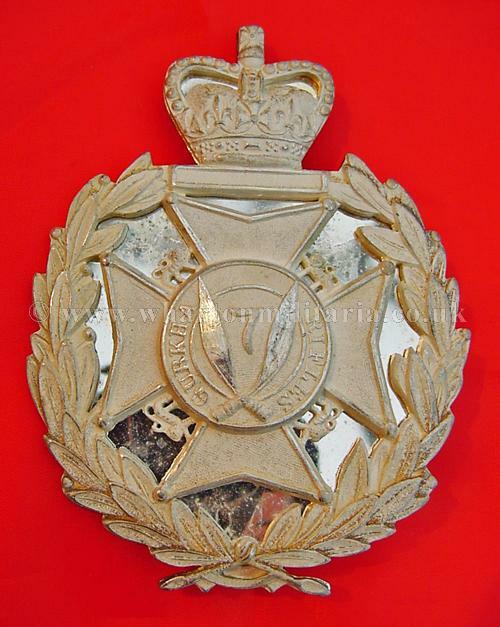 A scarce 7th Gurkha Rifles Officers silvered pouch badge in excellent unworn condition, Queens Crown, with polished back-plate and original heavy brooch pin fitting. 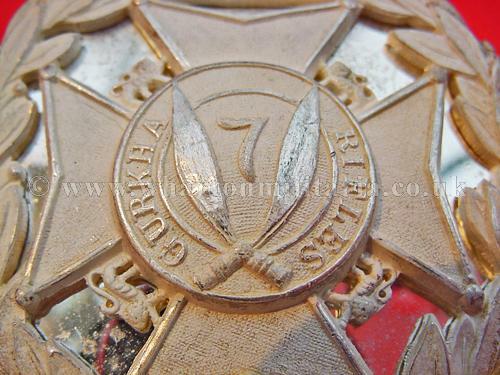 The number '7' between crossed kukri's on a circlet bearing the title 'Gurkha Rifles' in the centre of a maltese cross. 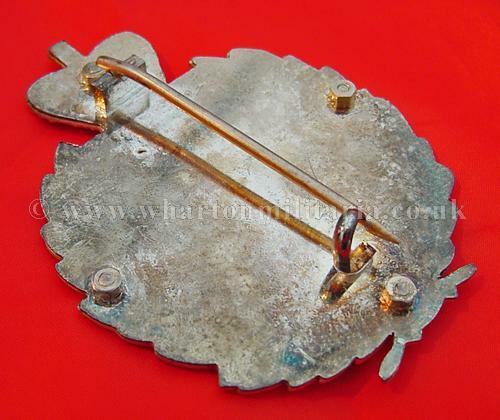 All set within a wreath of laurel with the crown resting upon a blank tablet. 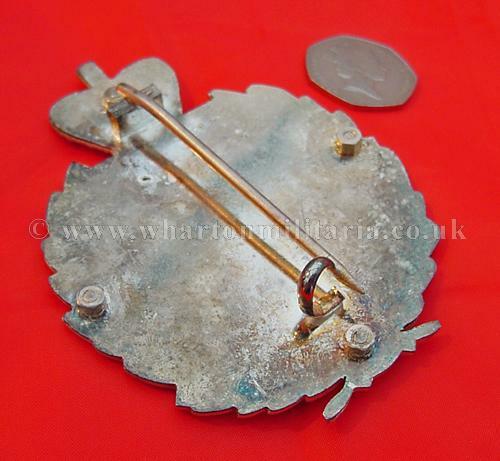 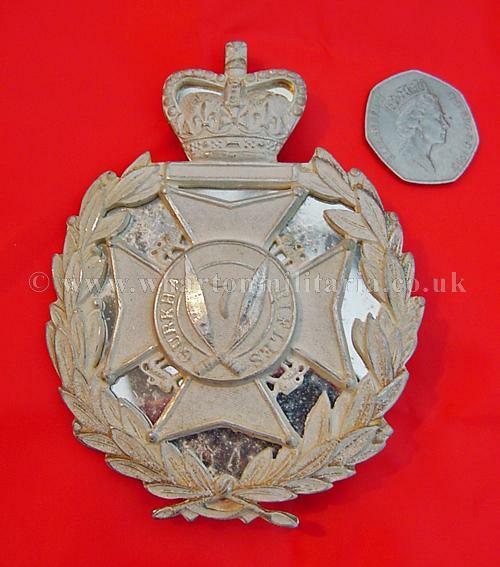 Pouch badges are becoming increasingly difficult to find especially in such fine condition.